The carbon infrared heater featuring the latest German heating technology. Redefining power. 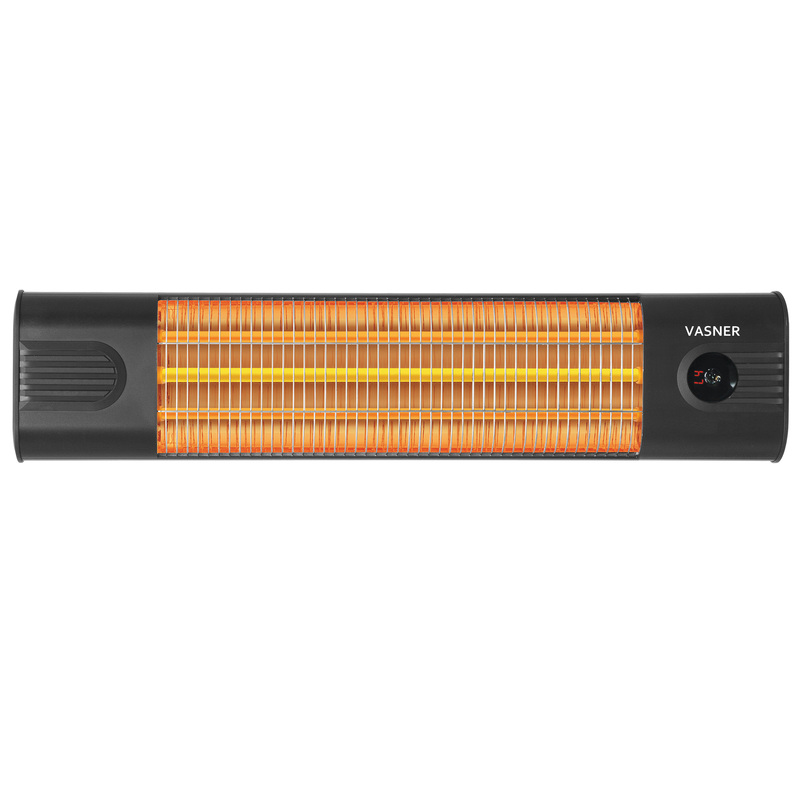 The VASNER Teras is a patio heater offering up to 2,500 watt of carbon-heating technology. It sets new standards in terms of warmth, meaning you can spend many warm hours on your terrace or in your conservatory. 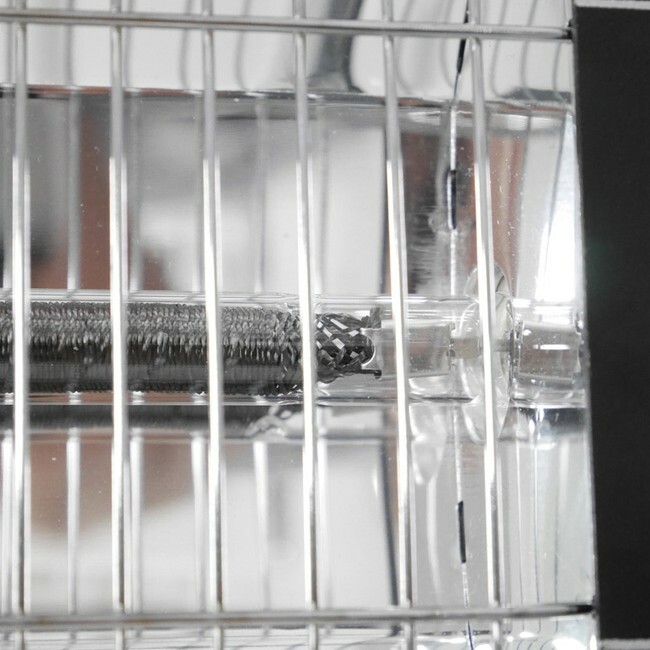 The device is unique thanks to its large heating angle and long carbon bar, which create a particularly even surface effect. The VASNER Teras can be used outside in any weather, as well as inside. It even braves the wind and rain. Just a few seconds after switching it on, you will notice intense warmth as the bar is designed to generate heat immediately. There’s no need to wait. Thanks to the carbon technology, the heater is particularly effective and generates a high heat output. You can use the remote control to easily set one of the four heat settings so that you can get the heat level just right for any situation. Alternatively, you can use the switch on the heater to adjust the setting. In addition to the standard controls, you can also use the practical countdown timer to switch the heater off automatically. Safety and functionality are the key to this heater. It also features overheating protection and tip protection. The integrated thermostat is a particular highlight. 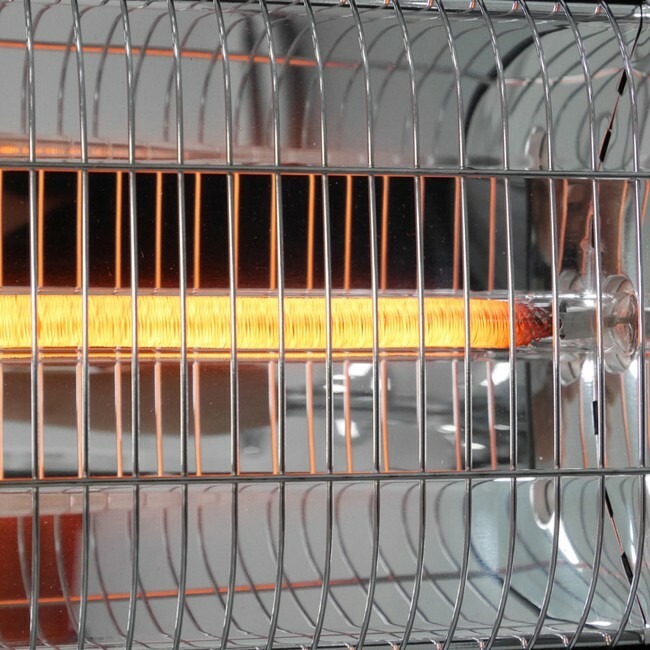 This means you can easily set any temperature between 10° and 40° and the infrared heater will maintain this temperature. This makes the Teras the perfect heater for bathrooms, spas, changing tables and conservatories, or even when camping, where a constant temperature is ideal for your well-being. Mit dem VASNER Teras 25 wurde der Fokus klar auf Design gelegt. Schwarz, puristisch und edel wirkt der Terrassen-Heizstrahler in jeder Umgebung. Das neutrale Schwarz lässt diesen Strahler besonders gut aussehen. Das digitale Display zeigt dabei stets die Leistungsstufe und die Timer Funktion an und gibt Ihnen so direkt die Information, die Sie beim Betrieb benötigen. Thanks to its unique functions and high carbon output generating 2,500 watt, the Teras is perfectly suited for use on terraces and restaurant terraces, in conservatories, cellars, workshops, campervans and when camping. 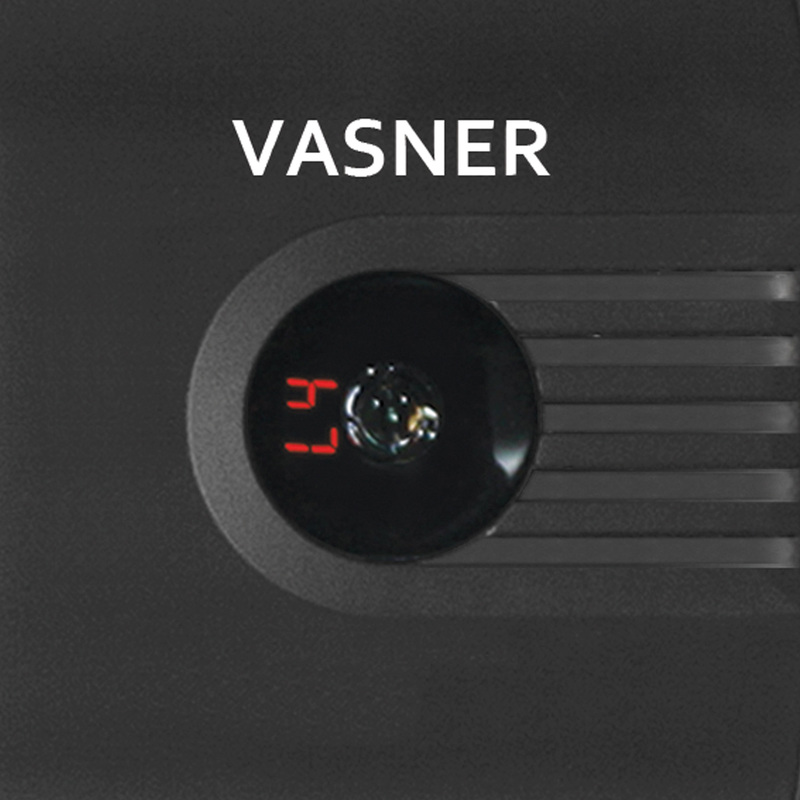 The VASNER Teras 25 – when functionality, flexibility and power matter. Heating area: up to 25 sq.